I’ve had this fabric in my stash for quite some time. And every once in a while I would look at it, wondering what it was going to become. When I first got hooked on making kaleidoscope stars with the 2″ diamonds, I tried the window template on the fabric and it wasn’t quite right for them. But then yesterday a new Inklingo collection of 1.25″ 60-degree diamonds was released. In a few minutes I had a window template printed and was auditioning that fabric once again. And the 1.25″ diamond was just the right size. 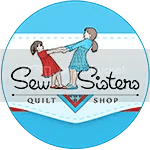 An 8.5″ strip from the length of the two-yard piece of fabric, six sheets of fabric ironed to freezer paper and a few minutes later they were printed, cut apart and I had a wonderful stack of diamonds just ready to stitch 30 stars – kaleidoscope stars, that is. And an empty project box that was just waiting for a project. Then the stitching began. These aren’t going to be anywhere near as dramatic as the butterfly, paisley or wild floral kaleidoscope stars but I think they’re going to make a lovely little quilt. I have a setting idea already that will involve using a pale yellow as my neutral. And finally there were twelve. And they were all such fun to stitch. There’s something about the six-pointed star that I find irresistible, no matter what the size. What was I doing last week? Working on some hand quilting. Finally. 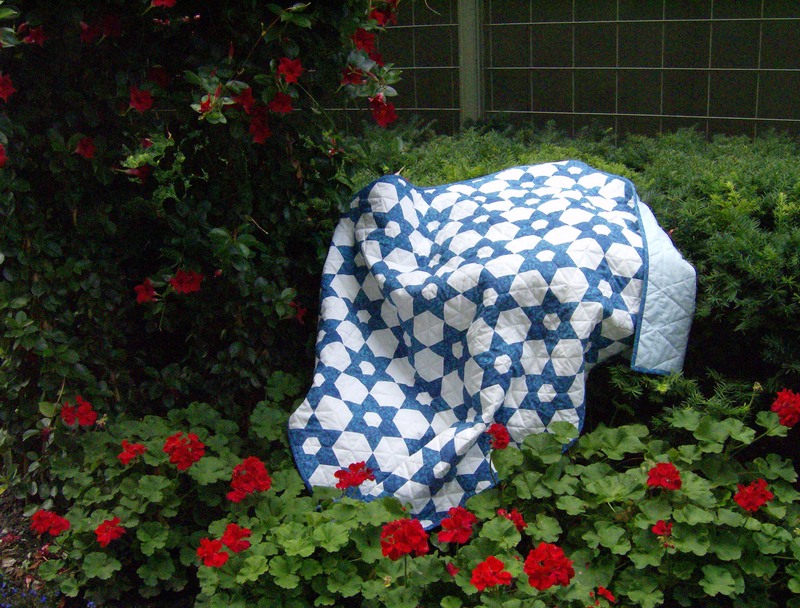 It got quite chilly Thursday night and Friday and I spent some time getting used to hand quilting again. And really enjoying it now that I’ve discovered that I can quilt quite successfully without a hoop. So maybe that stack of quilts will get quilted, although there are already three that are basted ahead of any of the ones in that stack. 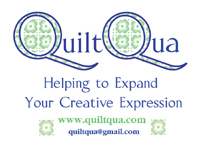 But I will definitely have lots of quilting to do during the cold months ahead. It’s just a matter of finding the right size diamonds for the fabric, as to how well those stars turn out……and those are very pretty flower stars. Baxter, you are indeed very cute! What to alien chefs cook, I wonder? Maybe you didn’t anticipate them being dramatic because of the fabric, but they sure turned out pretty!! What are your plans for all the stars: background fabric, borders, appliquéing onto fabric blocks and the like?. Baxter needs a big kiss right on top of his nose….to cute. I call that up-side down kitty. Sewing hexagons! I recognise that fabric! 🙂 The kaleido stars are pretty, as always, but I’m curious—how did you decide that *this* size was the right one, and not the 2″? I have never seen a more textbook perfect example of how you can get SO MANY looks from one fabric! Positively magic! Once again, you astonish me with your talent. Thanks for sharing it – I’m bookmarking this forever! I have been away from internet for a couple days and I see you have been busy as always!